My grandfather was a man that worked with his hands. He especially loved to build tiny replicas of everyday things like rocking chairs out of other everyday things like aluminum cans and buttons. He was a talented whittler too though. Whittling, for you youngsters that have never held a stick, is the art of carving shape out of a hard substance, usually wood, with a knife. My papaw was great at it; his dinosaurs were so detailed and I’d sometimes pretend to watch MASH on a little wooden TV he carved. He whittled me a pocket knife for Christmas one year and I didn’t put it down the whole day. I loved the way it felt — smooth and firm, naturally comforting. There’s just something about wood. I don’t know what my grandpops would think about LAYWOO-D (or 3D printing in general), but I think he and its creator, Kaipa on Thingiverse, would share common ground on how awesome it is to work with wood. LAYWOO-D is the new rave with RepRap users and you’ll probably agree that’s its potential is treemendous. It’s wood filament. Enough said, right? Who do I give my dollars to? Plastic is great and concrete is solid, but wood is the tops as far as my meager opinion is concerned. 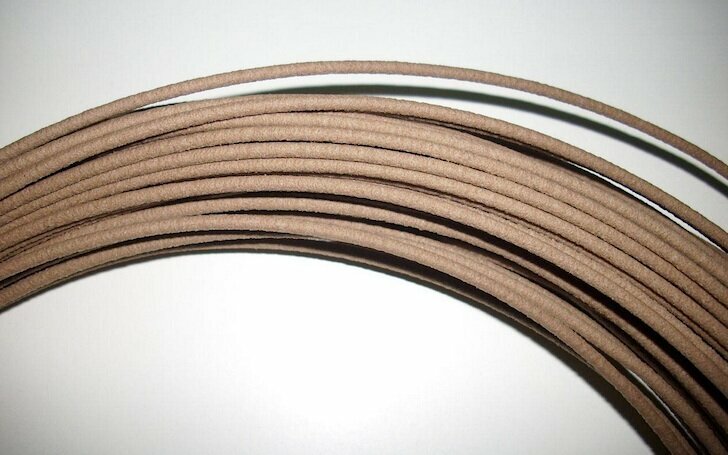 Apparently it’s just recycled wood pulp and some secret sauce but manages to print pretty much like plastic filaments. By adjusting the temperature of the extruder of your printer, darker layers can be added to make your frankentrees look more authentic. You can drill, sand, and cut it like wood; it doesn’t warp or shrink and every model comes with that new-wood smell. Since there’s only one supplier and obviously high demand, it’s rather expensive right now at over $20 for a bit more than half a pound, which is more than twice what ABS and PLA cost ($42/lb vs $16/lb). But it’s wood! And the price should drop when someone else figures out the magical ingredient. I do wonder how strong it is and how useful it would be on projects like Contour Crafting where they’ve plans to print buildings. Regardless of its strength, LAWOO-D likely has a bright future. While I’m sure I’ll enjoy this new filament immensely, I’ll never be able to appreciate its models in the same way as I do the little sculptures that my granddad spent hours on the porch whittling away at, no matter how much more complex they’ll surely be. I look forward to seeing what people do with this innovation. My first print will be a dinosaur.